Could I Close My Business on Sunday? How Could We Pay Our Rent? What Should We Do When We Don’t Know What to Do? Have Courage: Lead Out in the Cause of Virtue! My nonmember friends ask why we do baptisms for the dead. How do I answer them? How do I tell a friend her music is inappropriate without losing her friendship? One of the enduring lessons of the Kirtland period is that our spirits need constant nourishment. We need to stay close to the Lord every day if we are to survive the adversity that we all must face. Last summer my wife and I took our twin grandsons to Kirtland, Ohio. It was a special and precious opportunity for us to spend time with them before they left on their missions. During our visit there, we learned to better understand the circumstances of the Prophet Joseph Smith and the Saints who lived in Kirtland. That era of Church history is known as a time of severe trials but also supreme blessings. One of the many revelations Joseph received in Kirtland was a revelation he called the “olive leaf … plucked from the Tree of Paradise, and the Lord’s message of peace to us” (introduction to D&C 88). This remarkable revelation includes the sublime invitation, “Draw near unto me and I will draw near unto you; seek me diligently and ye shall find me” (D&C 88:63). As the Saints of Kirtland drew near unto the Lord, He truly did draw near unto them, pouring out the blessings of heaven upon the heads of the faithful. But, of course, great spiritual experiences do not make us exempt from opposition and trials. Just a few months after the temple dedication, a widespread economic crisis shook the United States, and Kirtland felt the effects deeply. Banks failed, leaving many in difficult financial straits. To make matters worse, many of the Saints who were immigrating to Kirtland came with very few material possessions, not knowing what they would do once they arrived or how they would survive. Before long, persecutions arose and mobs formed against the Saints. Members of the Church﻿—even some of those closest to the Prophet, many of whom were present at the dedication of the temple﻿—apostatized and condemned Joseph as a fallen prophet. As I walked near the Kirtland Temple with my wife and grandsons, I pondered how tragic it was that some could not remain faithful even after the spiritual manifestations they had witnessed. How sorrowful it was that they could not endure the ridicule and criticism of disbelievers. How sad that, when faced with financial trial or other struggles, they could not have reached inside themselves and found the strength to remain faithful. How unfortunate it was that they somehow lost sight of the miraculous spiritual harvest at the dedication of the temple. What can we learn from this remarkable era in the history of the Church? One of the great, enduring lessons of the Kirtland period is that our spirits need constant nourishment. As President Harold B. Lee (1899–1973) taught: “Testimony isn’t something that you have today and you keep always. Testimony is either going to grow and grow to the brightness of certainty, or it is going to diminish to nothingness, depending upon what we do about it. I say, the testimony that we recapture day by day is the thing that saves us from the pitfalls of the adversary.”6 We need to stay close to the Lord every day if we are to survive the adversity that we all must face. In some ways our world today is similar to Kirtland of the 1830s. We too live in times of financial distress. There are those who persecute and rail against the Church and its members. Individual and collective trials may sometimes seem overwhelming. That is when we need, more than ever, to draw near unto the Lord. As we do, we will come to know what it means to have the Lord draw near unto us. As we seek Him ever more diligently, we will surely find Him. We will see clearly that the Lord does not abandon His Church or His faithful Saints. Our eyes will be opened, and we will see Him open the windows of heaven and shower us with more of His light. We will find the spiritual strength to survive even during the darkest night. Although some of the Saints in Kirtland lost sight of the spiritual experiences they had, most did not. The majority, including William Draper, held fast to the spiritual knowledge God had given them and continued to follow the Prophet. Along the way they experienced more bitter trials but also more sweet spiritual growth until, ultimately, those who endured to the end were “received into … a state of never-ending happiness” (Mosiah 2:41). If ever you are tempted to become discouraged or to lose faith, remember those faithful Saints who remained true in Kirtland. Hold on a little longer. You can do this! You are part of a special generation. You were prepared and preserved to live at this important time in the existence of our beautiful planet earth. You have a celestial pedigree and therefore have all the necessary talents to make your life an eternal success story. The Lord has blessed you with a testimony of the truth. You have felt His influence and witnessed His power. And if you continue to seek Him, He will continue to grant you sacred experiences. With these and other spiritual gifts, you will be able not only to change your own life for the better but also to bless your homes, wards or branches, communities, cities, states, and nations with your goodness. It may be hard to see that at times, but hold on a little longer, for “eye hath not seen, nor ear heard, neither have entered into the heart of man, the things which God hath prepared for them that love him” and wait for Him (1 Corinthians 2:9; see also D&C 76:10; 133:45). I bear witness of the truth of the restored gospel of Jesus Christ and the truth of this, His Church. I testify with all my heart and soul that God lives, that Jesus Christ is His Son and stands at the head of this great Church. We have a prophet on the earth again, even President Thomas S. Monson. May we ever remember the lesson of Kirtland and hold on a little longer﻿—even when things look bleak. Know and remember this: the Lord loves you. He remembers you. And He will ever sustain those who “endure in faith to the end” (D&C 20:25). See, for example, sections 45; 56; 76; 84; 89; 97; and 104. See D&C 76:23; 110:2–4, 11–13. William Draper, “A Biographical Sketch of the Life and Travels and Birth and Parentage of William Draper” (1881), typescript, Church History Library, 2; spelling and capitalization standardized. History of the Church, 2:428. Lorenzo Snow, “Discourse,” Deseret Weekly News, June 8, 1889, 26. 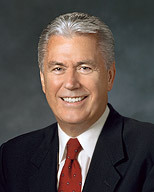 Teachings of Presidents of the Church: Harold B. Lee (2000), 43. As we seek the Lord ever more diligently, we will surely find Him. Our eyes will be opened, and we will see Him open the windows of heaven and shower us with more of His light.